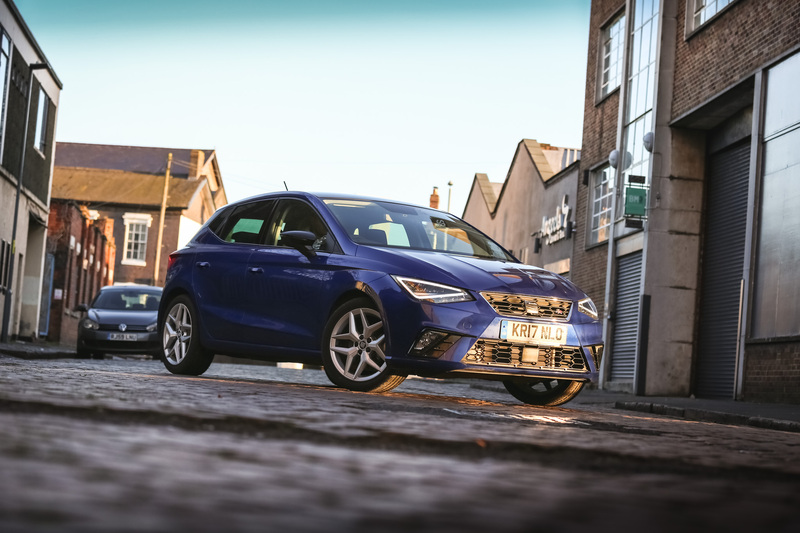 After testing out the SEAT Leon, it’s only natural to want to drive its smaller brother, the SEAT Ibiza FR, right? 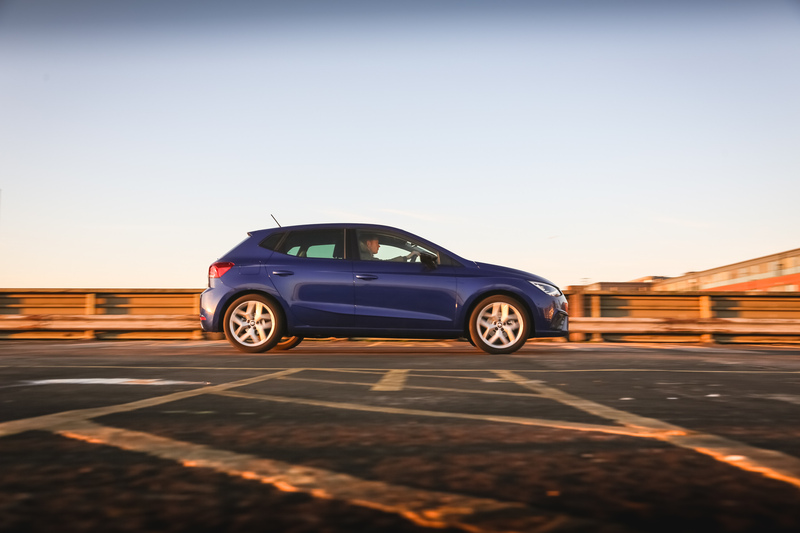 What is the 2017 SEAT Ibiza FR All About? 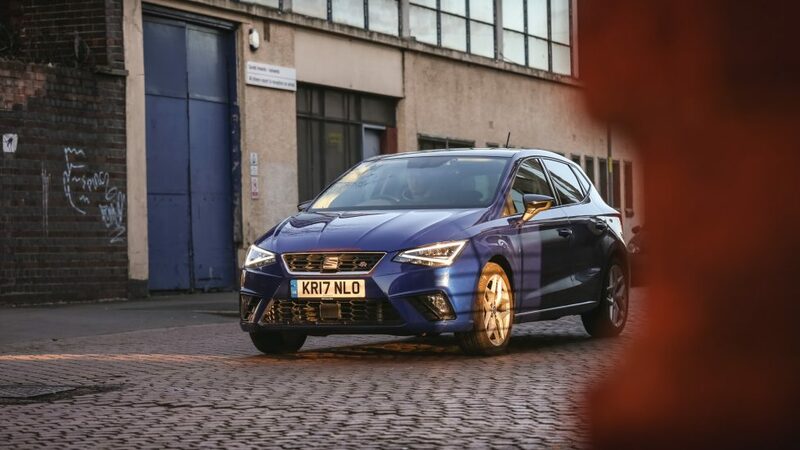 Another one of SEAT’s best selling cars is the Ibiza. 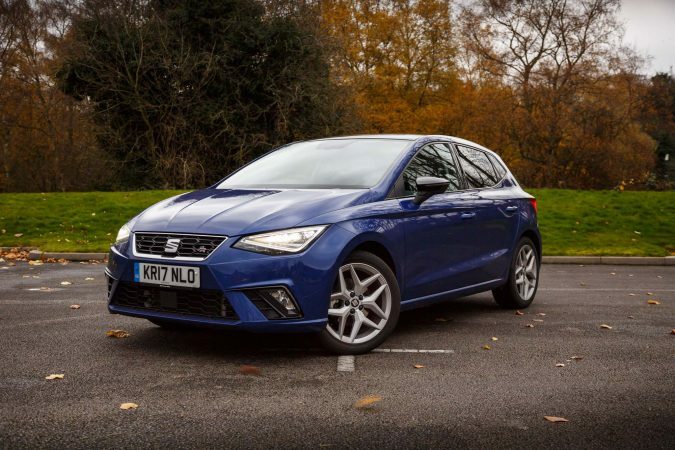 It’s SEAT’s longest running model, and also their most popular one. 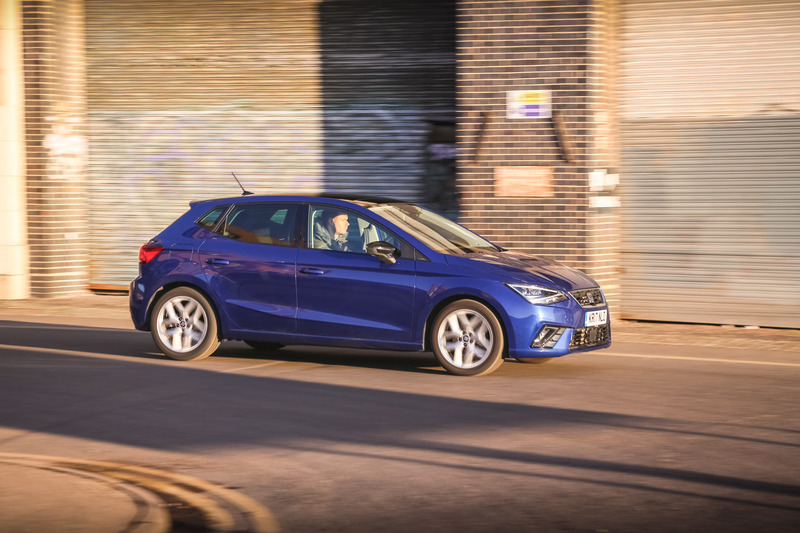 The Ibiza is a supermini that has been sharing a platform with the Volkswagen Polo for a long time now – and it has actually done remarkably well in terms of sales. It sits comfortably as the younger alternative to the Volkswagen Polo; a compelling offering for anyone looking for a reliable car in the highly competitive supermini segment. 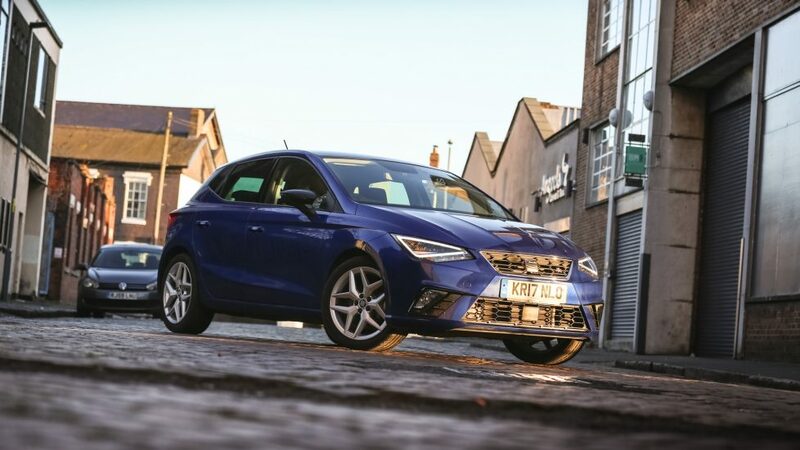 In fact, the SEAT Ibiza FR is so reliable, it actually won a few awards in that regard, even boasting the best result for a Volkswagen Group car. Very impressive. 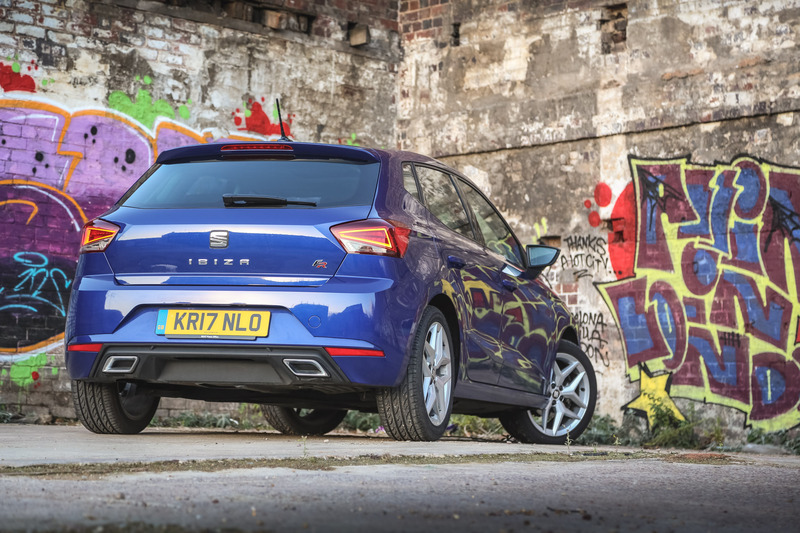 So, can the new 2017 SEAT Ibiza have you choosing it over the latest Polo? I’ve already made up my mind though, as I had actually driven one around a few months ago. In terms of looks, the SEAT Ibiza FR certainly sports an aggressive and dynamic aesthetic. 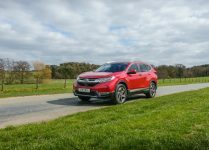 With the big gaping grille and the headlamp outlined daytime running lights which are part of a £480 option, it’s a belligerent little guy. The rear is suitably assertive, with twin pipes as part of the FR pack. 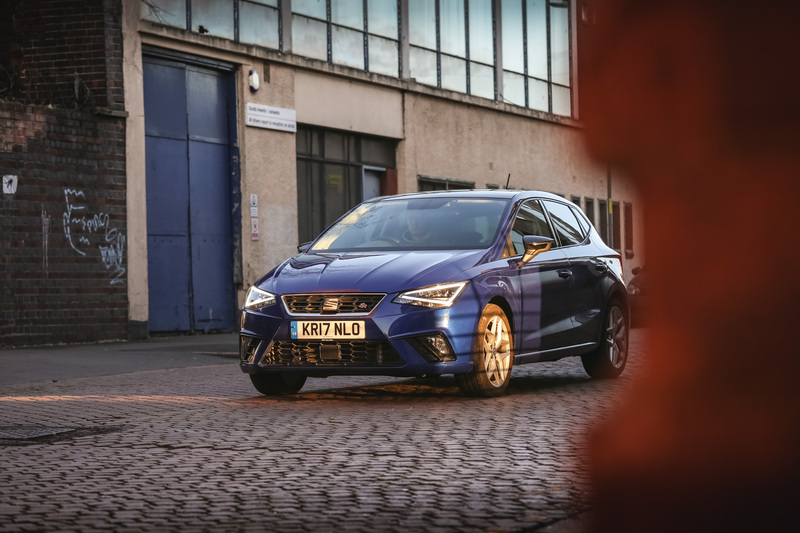 Last time around we had a rather spicy set of alloys with a warm red paint; this time our Ibiza rides on smaller alloys, and sports a tame ‘Mystery Blue’, a deep blue that blends in well with the crowd. 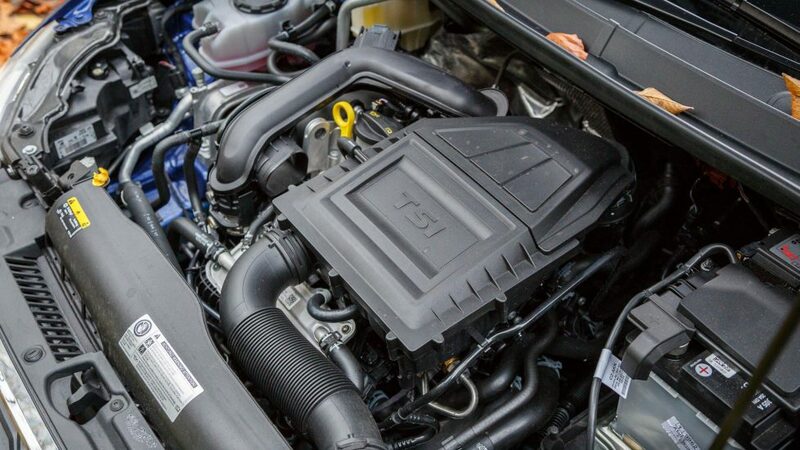 Powering our SEAT Ibiza FR this time around is still the same engine. 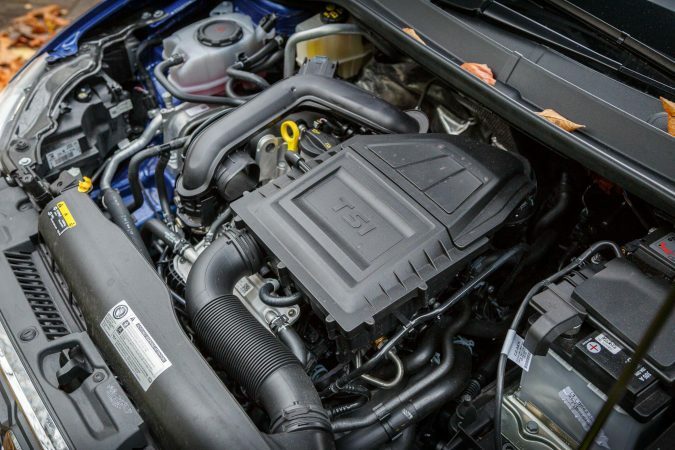 A turbocharged 1.0-litre TSi inline-4 that puts out 113 bhp and 200 Nm of torque. Strong figures for a car of its size. Mated to that engine is also the same transmission, a 6-speed manual that drives to the front wheels. 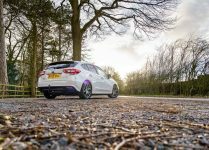 It pushes the small Ibiza from 0-62 mph in 9.3 seconds, onto a top speed of 121 mph. 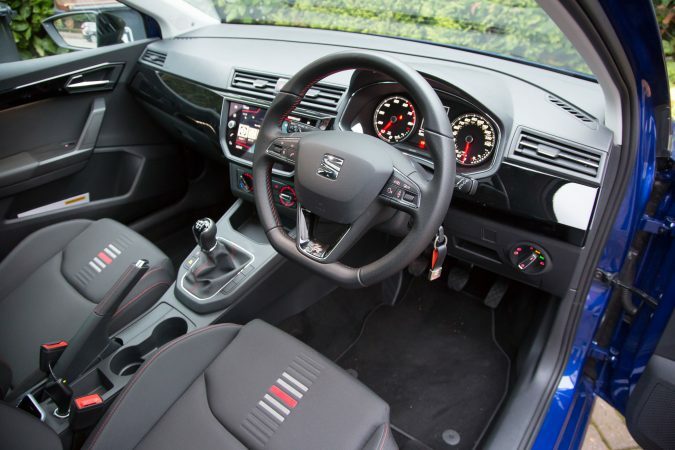 The Ibiza FR may be loud in how it looks, but it musters great economy figures, 60.1 mpg and 108 g/km of CO2. It hasn’t been too long since I last drove the Ibiza, but it’s good to be back in the driver’s seat. Since it’s largely the same car as before, most of the opinions I had on the previous Ibiza FR apply here. 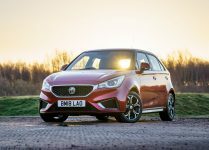 It’s still the brilliant little car that its target market will have nothing to chide about, and certainly ups the ante of the expectations people have when they hear ‘affordable 3 cylinder supermini’. It might only be a 3-cylinder, but honestly, contemporary 3-cylinder engines are nothing to laugh at. The 1.0-litre EcoBoost is a true marvel, and this Volkswagen-built 3-cylinder proves to be a worthy competitor. Thanks to the turbocharger, it puts out a lot of torque down low, and without sacrificing too much on the fuel efficiency front. Not only that, it’s also very refined, smooth and quiet, but it makes a lively snarl when pushed. Because the Ibiza is quite light, the low power output is not an issue at all. 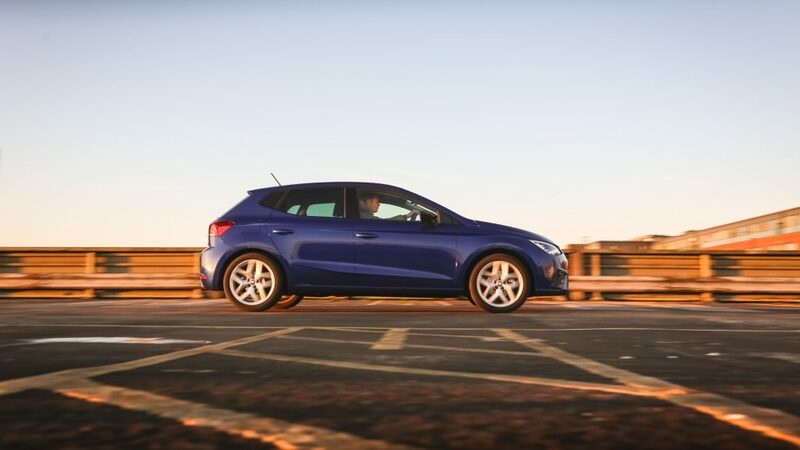 The new Ibiza also maintains its proportions with an increase in wheelbase over the last generation. Paired with a smartly sorted suspension riding on the solid Volkswagen MQB A0 platform, it’s an enticing drive. There really isn’t much to point out. 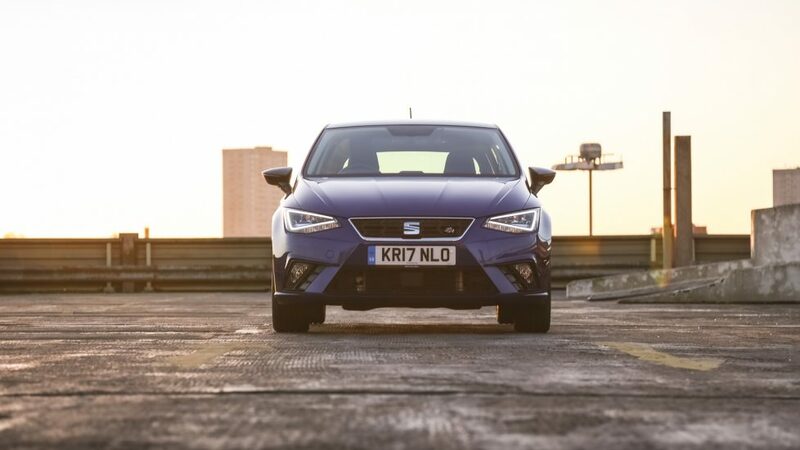 The steering is light but communicative; with admirable liveliness, the SEAT Ibiza FR will happily power through corners. Furthermore, body roll is minimal and the grip is plenty. 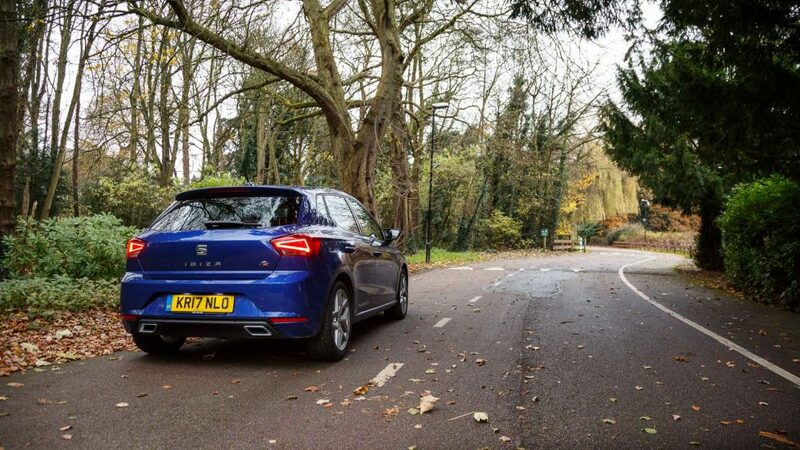 Good cornering capabilities don’t necessarily come with faults once you drive over bumps, the Ibiza is one such example. 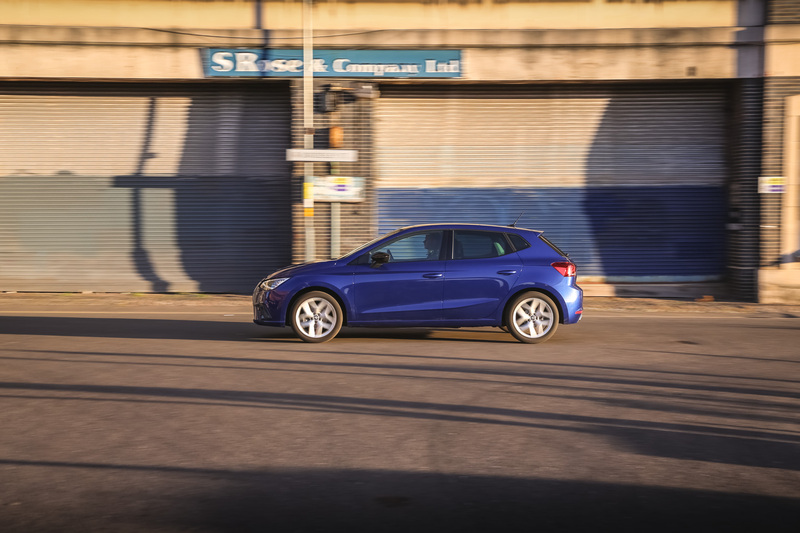 Even with the sporty FR trim, the Ibiza happily absorbs undulations and settles quickly. Bad gearing is eminent in a car with a small engine, but I’m happy to report that the Ibiza is solid with the 6 gears offered. 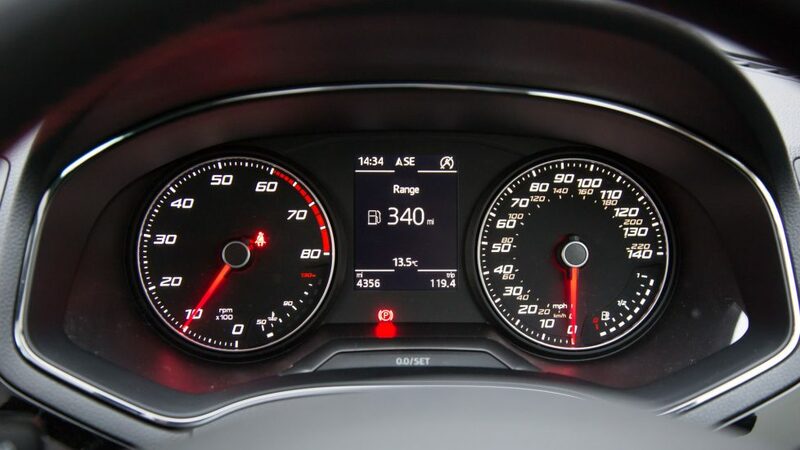 Since it makes plenty of torque, overtaking is a breeze too; in some cases, it even felt faster than the 1.8-litre Leon. 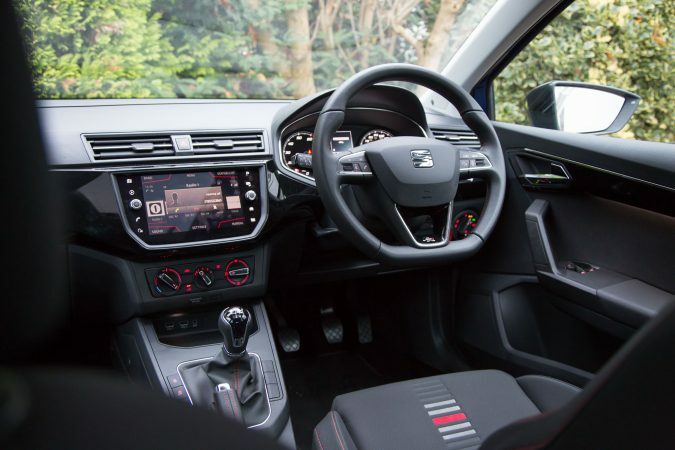 The cabin of the Ibiza FR is actually quite exciting, and it is apparent that SEAT has put in the effort to spice things up. 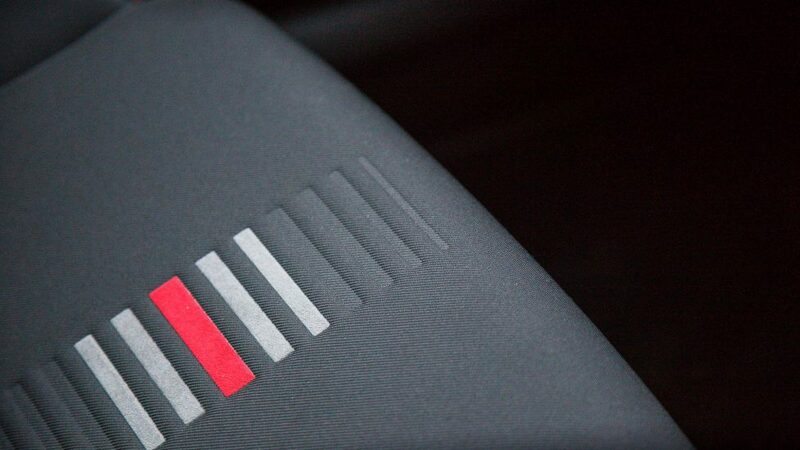 Coming in standard as part of the FR trim are these ‘Nora Black’ cloth seats. The seats are bolstered and hold you in pretty tightly and has those intriguing stripe pattern stitched into them. 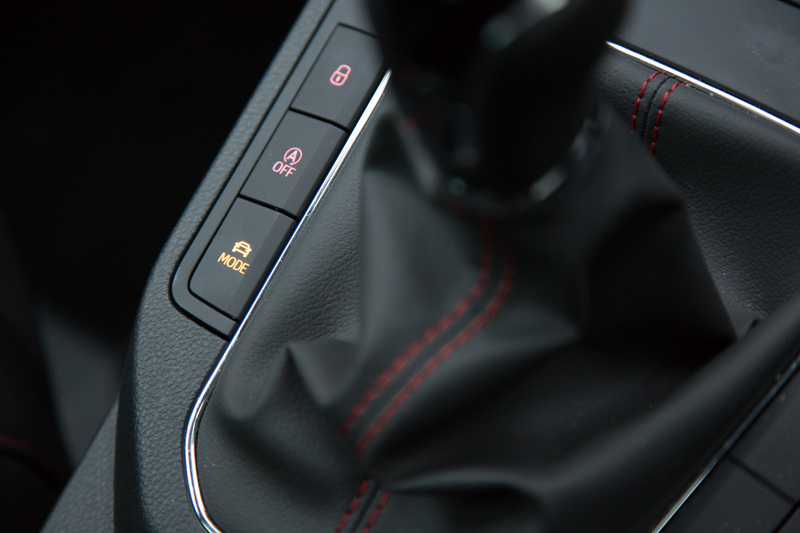 Of course, red stitching is littered all over the cabin for that extra sporty touch. 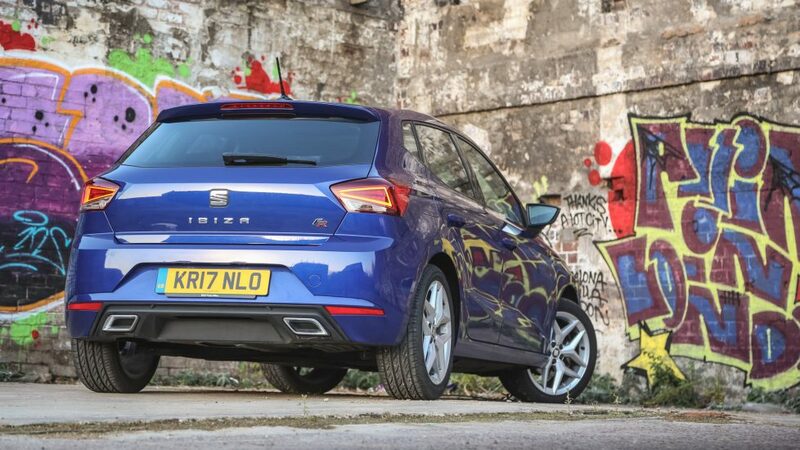 It may only be a supermini, but those extra touches that SEAT has put into the FR provide it with a modicum of exclusivity. It’s all very geometrically shaped, but the button layout is sensible. For another £400 though, you can opt for a mix of Alcantara and leatherette seats. Of course, for a car made for young people, there are options made for younger people too. The Beats audio for £365, and Alcantara upholstery for the same price is an example. 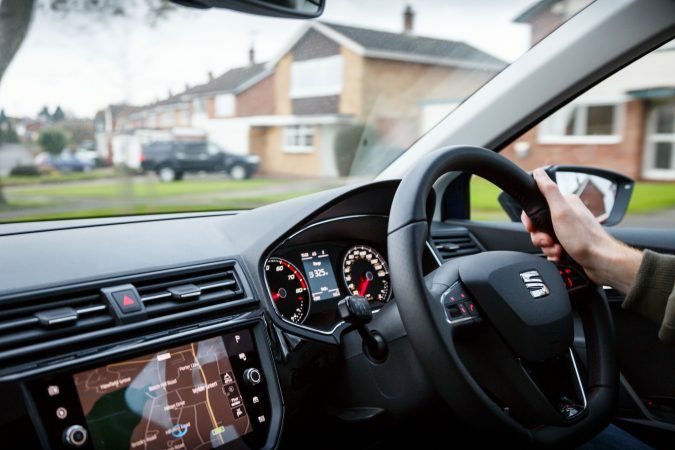 As part of the FR trim, you also get the 8″ infotainment system which is very responsive and worth the money. For a small car, it’s very space-efficient. Adults will sit in the back seats just fine. The money may not be spent on material, but SEAT puts in plenty of equipment for the money you’re spending. The boot is also larger than the previous model at 355 litres, competitive for a car of its size. The SEAT Ibiza FR was exactly how I recalled it being. It’s small, agile and fun to drive around. The gears are quite closely spaced together, and even though it’s sporty, it remains to be a civilized drive around the urban streets. I loved that it is as versatile as its bigger brother, just in a smaller package. In some cases, it felt even faster and swifter than its bigger brother. 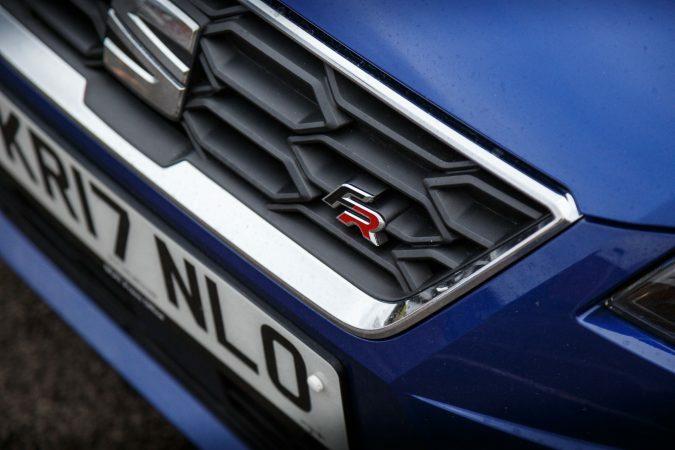 It’s just a sprightly car full of vigour and energy. Should you get one? My opinion remains from the last review. The SEAT Ibiza is a solid car for the money and is good value. Sure, it may not feel as nice as its siblings, but it makes up for that with quite a lot of tech packed in. 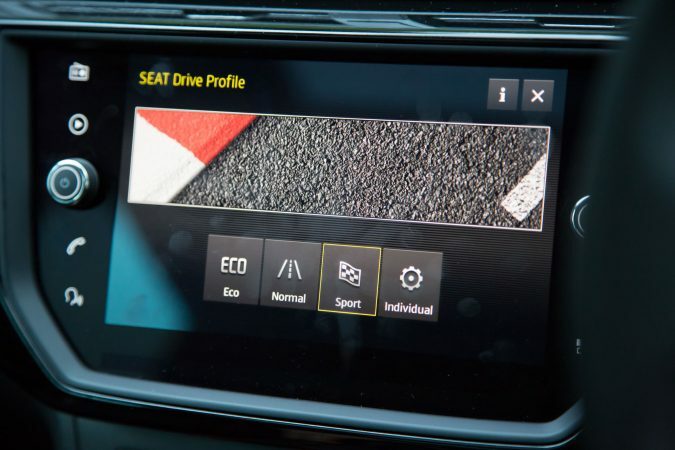 There are a lot of different trims to choose from, but you should refrain from the bargain ‘S’ trim, as for £900 more you can get the much better equipped SE trim. The Technology pack provides you with the 8″ touchscreen, while the Design pack offers bigger alloys and a panoramic sunroof. 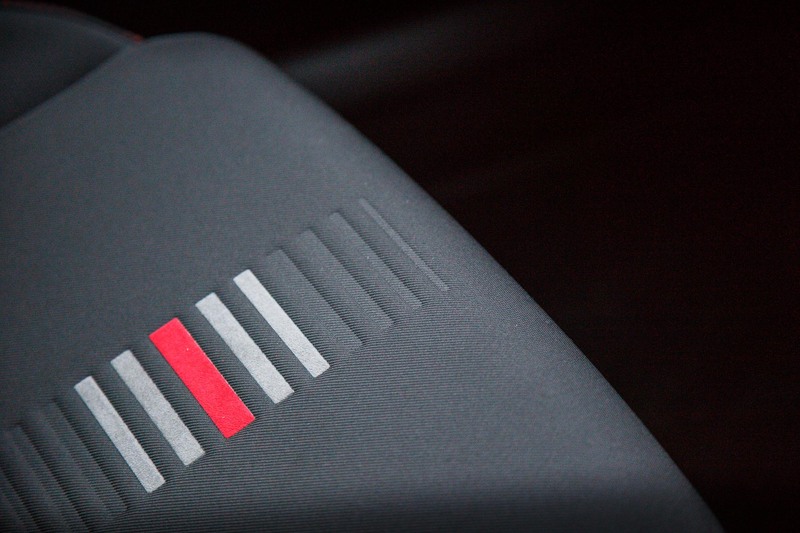 The XCELLENCE trim is range-topping, and is an option for those who want more tech. Otherwise, the FR trim will be the choice for me, with a solid balance between equipment, style, and entertainment. 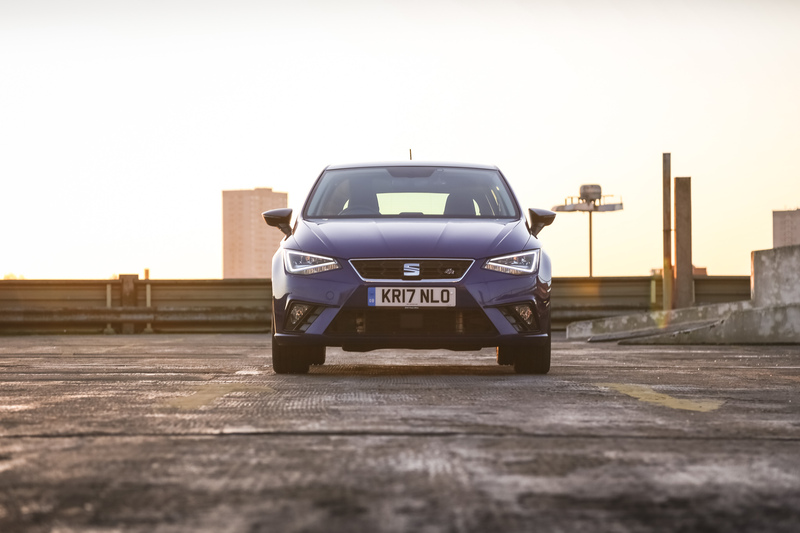 I spent one week testing the SEAT Ibiza FR. During this time, I learnt that there was lots to like about this car. First things first, the heart of this lightweight SEAT Ibiza FR is its 1.0-litre TSi inline-4 that puts out 113 bhp and 200 Nm of torque. 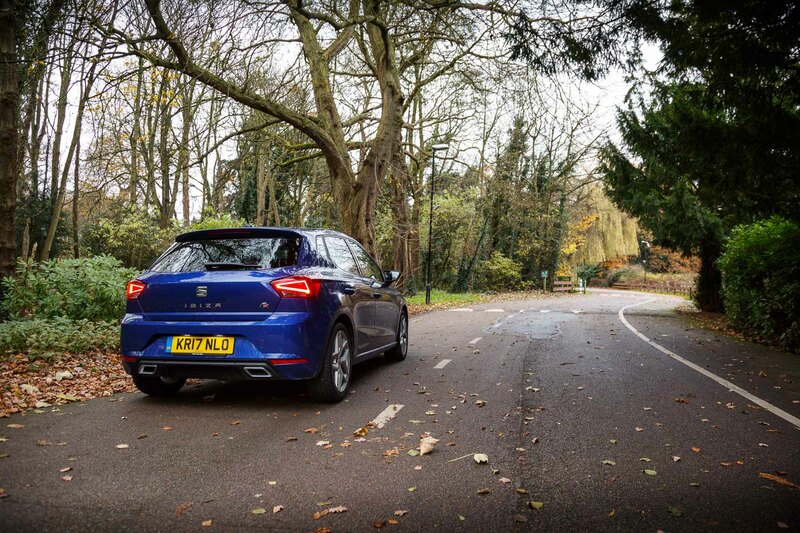 Some people are still turning their noses up at 1.0-litre engines, but my God does the Ibiza go at an incredible pace. I was very impressed with how bubbly and powerful this small engine was. 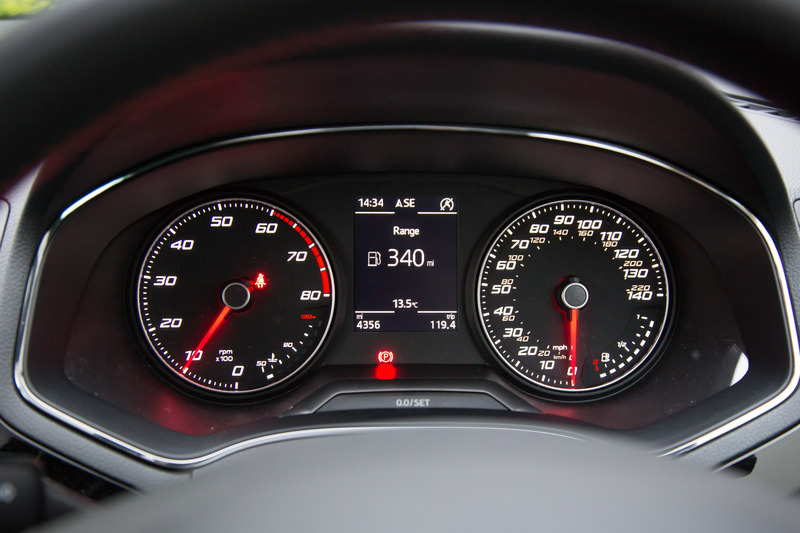 The engine makes the car feel alive and energetic, but it is very economical. We know that SEAT like to focus on the younger market and the Ibiza’s styling is a great example of that design. Even in a five door configuration, this model still has a sporty appeal. You will notice that the latest generation has a consistently sharp look. When viewing the vehicle, you can count the number of straight lines on the bonnet, the front grille and down the side of the car. The car is very stylish and will make other manufacturers look a bit bland. A premium infotainment system is housed in the middle of the car. This comprises a high resolution, touch-operated large display. Although it includes a lot of options, I began to really like it and I was sad to leave it behind. Most young people own a smartphone. This can be hooked up to the screen using Apple Car Play or Android Auto. I did most of my testing with Apple CarPlay and it worked out really well. 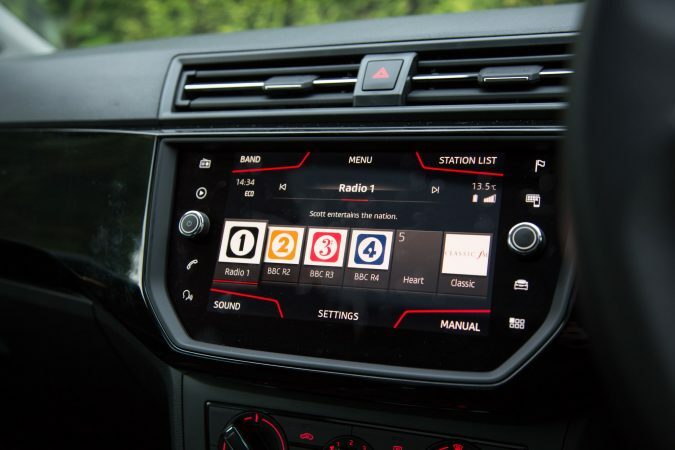 Being able to use the key features of my iPhone such as contacts, Spotify and podcasts when driving is a real blessing and gives the car a modern feel. Motorists are not always in the same mood. Sometimes we want to drive slowly and sometimes we want to drive fast. Thankfully, the SEAT Ibiza FR has a drive mode system that helps us make the most out of the car, however we are feeling. You can see the available drive modes below: Eco, Normal, Sport and Individual. 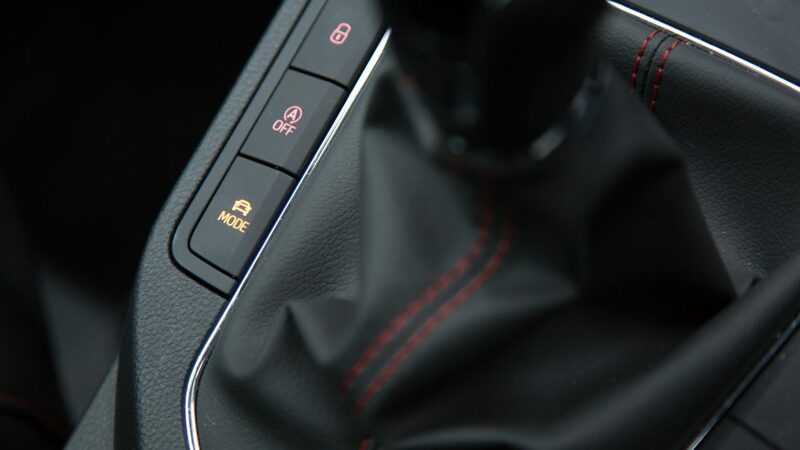 The small adjustments they make to the car make a big difference to how it feels. There is no question about it, the SEAT Ibiza FR is one cool car. 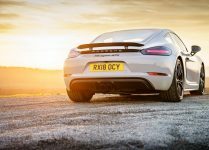 The biggest factor in the equation is the FR branding that makes the car that bit more appealing.